The Australian Broadcasting Corporation reports that Australia's Labor government will support the creation of an adults-only classification for video games there. A decision on backing a new rating, called R18+, is expected Friday at a meeting of Australia's attorneys general. Currently, the most "mature" rating that the Australian Classification Board may give a game is MA15+, which prohibits the game's sale to children under age 15 (without an adult). 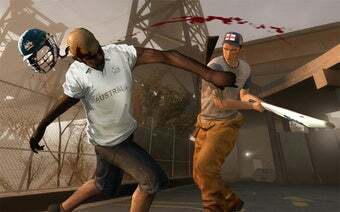 In the past, that has meant some games rated M by North America's ESRB have gotten more lenient ratings in Australia, while others - notably Left 4 Dead 2 last year - have been refused classification before making content changes. "Right now games that are borderline at best are often pushed into the lower category so that they can be sold in this country," Colin Jacobs, of Electronic Frontiers Australia, told the ABC. Video game advocates have long pushed for an R18+ rating, noting that such a rating already exists for films in Australia. They argue it would make game ratings more accurate and end embarrassing controversies in which refused-classification games are said, incorrectly, to have been banned or censored by the government. (Refused games are simply not for sale in Australia). Brendan O'Connor, the Home Affairs Minister, said an adults-only classification would protect minors from exposure to violent or inappropriate content. "We need a better classification system to protect our teenagers from accessing certain information, and we need a similar arrangement like film because both forms of entertainment are converging," he said. The ABC notes that a recent survey found 80 percent support for an R18+ rating, and that a government consultation on the matter received nearly 60,000 responses from the public, with 98 percent favoring R18+. Though the backing of the Labor government is key and amounts to the strongest support of R18+ to date, the nations Attorneys General must still agree to it at their meeting this Friday. In the past, five of the six AGs have backed R18+, the most notorious holdout being former South Australian AG Michael Atkinson. His successor, John Rau has said he opposes an R18+ classification said he is not necessarily pro R18+, but has "no preconceptions about this issue and intend to listen to the arguments." Correction: An earlier version of this article misstated South Australian AG John Rau's position on R18+. He has voiced neither opposition to nor support for it.